Colins Photography: An over-view of Pit #1, the largest of the three pits uncovered. An over-view of Pit #1, the largest of the three pits uncovered. 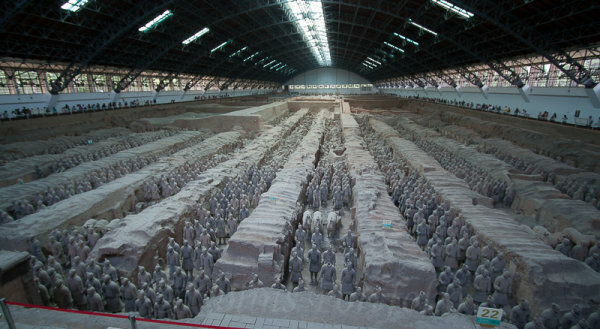 This rectangular pit covers some 14,260 square metres and contains over 6,000 armoured warriors and horses, together with over 40 wooden chariots.